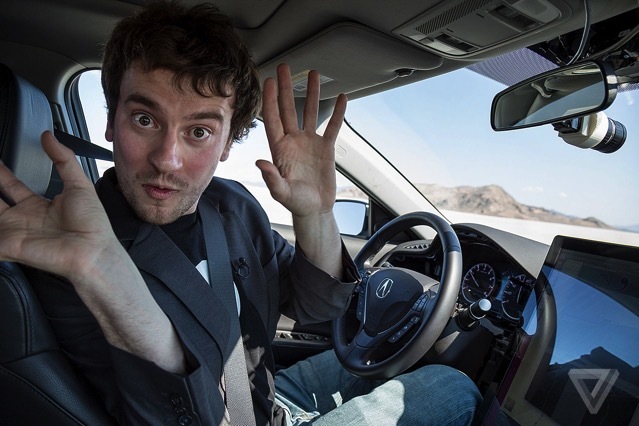 George Hotz, the 28-year-old CEO of Comma.ai who rose to fame at the age of 17 for jailbreaking the iPhone under his “Geohot” hacker alias, has demonstrated the latest version of his advanced driver assist system (ADAS) retrofitted in a silver Honda Civic to The Verge, that seems to work much like Tesla’s Autopilot or Cadillac’s Super Cruise. Hotz claims he can override the driver assist systems of any late model Toyota or Honda vehicle, and replace it with his own openpilot software. 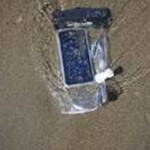 All he needs is three gadgets, i.e. a modified OnePlus smartphone called the Eon, a dongle called the Panda, and the Giraffe, which enables Hotz to issue commands to the car via software by connecting to a vehicle’s CAN bus. “Our goal is to make our system better than Super Cruise by the end of the year,” Hotz says. Climbing into the driver’s seat of Hotz’s silver Honda Civic, the first thing I noticed was the absence of a rearview mirror. The Eon, connected to the vehicle’s backup camera, is attached to the windshield in its place and provides a view from behind the car. After some adjustments, I don’t once have to touch the steering wheel or pedals, nor do we encounter anything that would make me feel like I needed to take control. At no point am I forced to take control of the vehicle, but then again, we’re driving in a geofenced area, which Hotz says was just for the purpose of demonstrating the technology to the press.